So many incredible things to see in this photo! First, the bride’s amazing hi-low wedding dress. Two, the fact that her lipstick matches the groom’s tie. Three, something about the reflection of the lights in the far windows looks super cool. 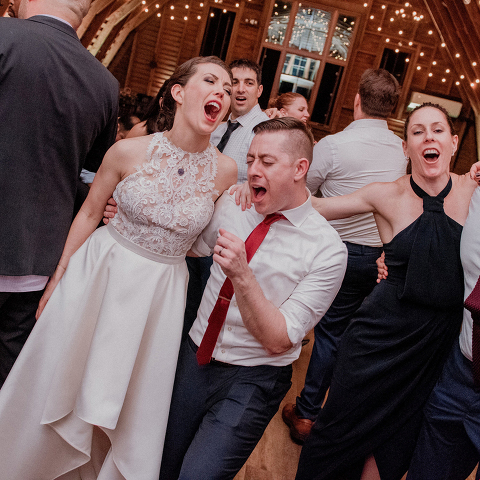 And last, but definitely not least, the fact that these two newlyweds are belting it out on the dance floor and enjoying their reception to the fullest with all their friends and family! We love to see when couples get to let loose and simply celebrate!